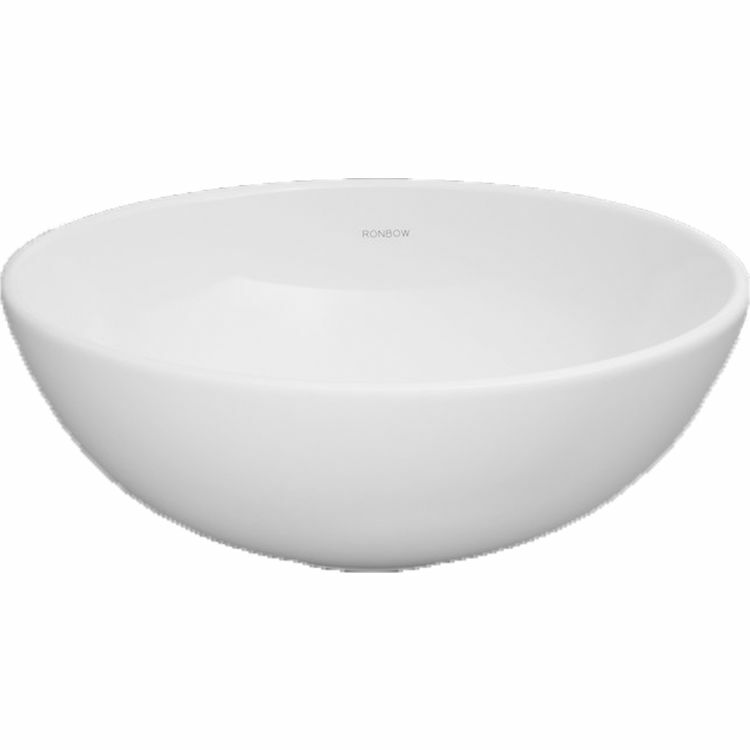 Ronbow 200007-WH Round Ceramic Vessel Sink, 15-3/8" x 15-3/8" x 5-1/2" - White. The 200007-WH is a genuine product manufactured by Ronbow and has a full Ceramic construction. This particular product is a Vessel Sink for Lavatory applications. The vessel sink has a white finish that will look great sitting upon any vanity top.